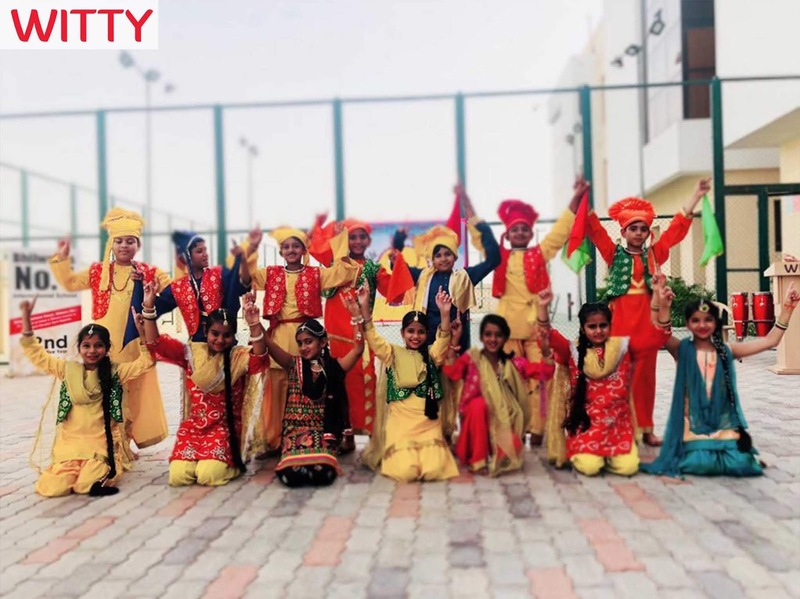 India is a land of many cultures which blend into each other seamlessly. 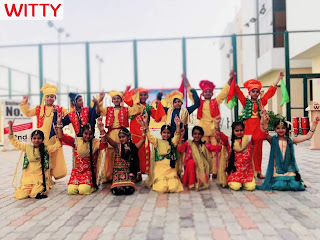 Each region has its own way of celebrating New Year usually when the crops are harvested. 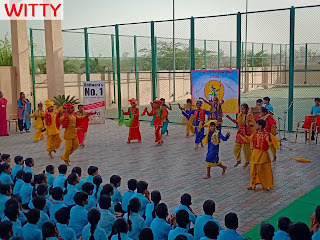 In Punjab, this day is celebrated as Baisakhi. 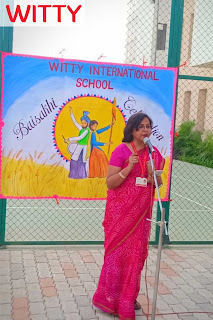 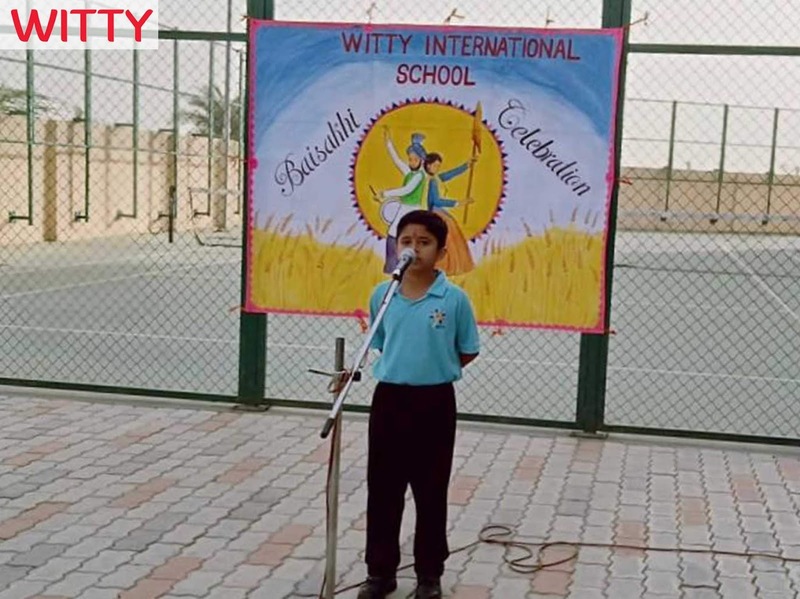 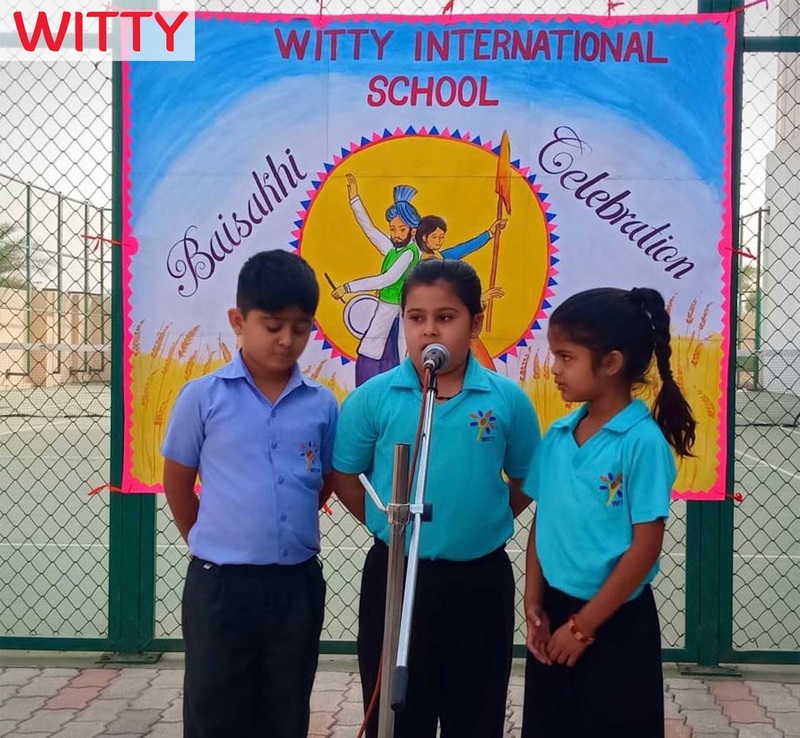 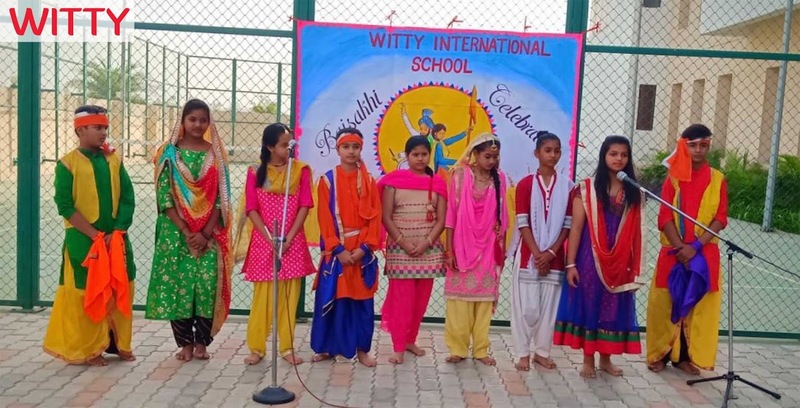 To give an insight of this day, the students of Witty International School, Atun road, Bhilwara celebrated Baisakhi through a special assembly on April 12, 2019. 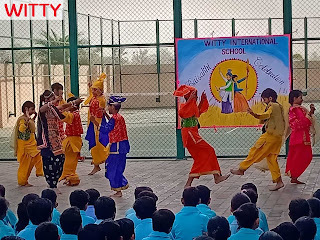 The entire school campus was immersed in the spirit of festivity as the little ones came dressed in ethnic attires representing the Punjabi culture. 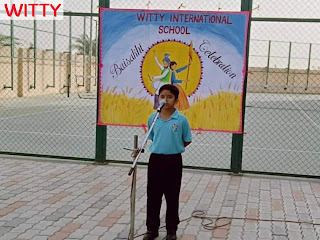 The day started by seeking the blessings of Almighty through Shabad. 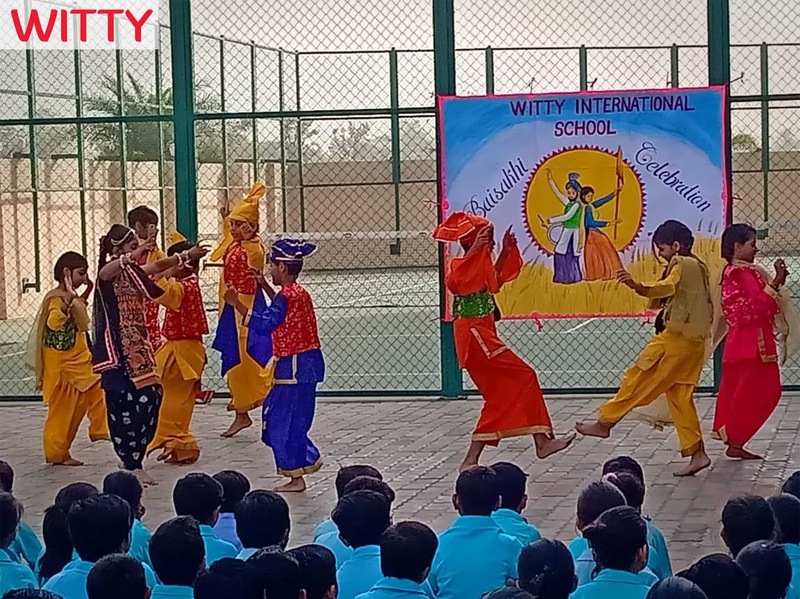 The significance of Baisakhi was highlighted through a beautiful speech delivered by the Primary school students followed by a mesmerizing Punjabi folk dance performance. 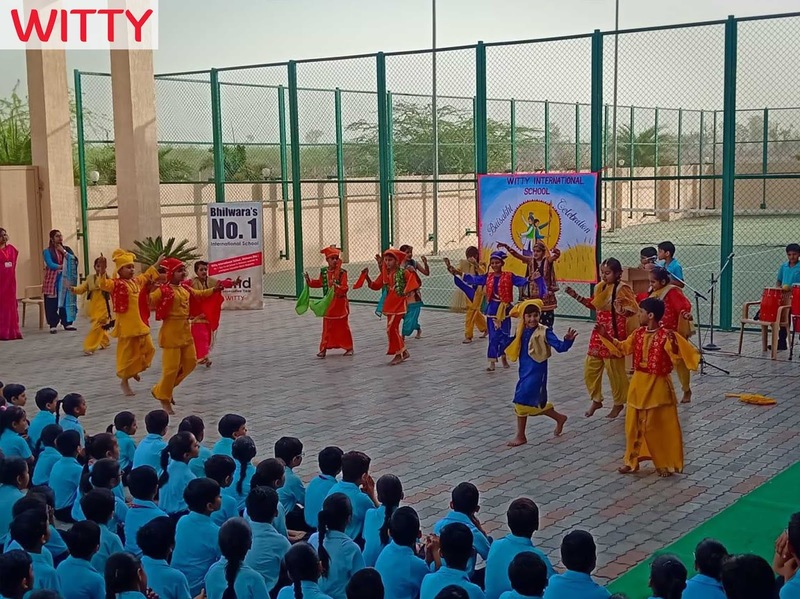 The tiny tots enjoyed the beats of the dhol and their joy had no limit. 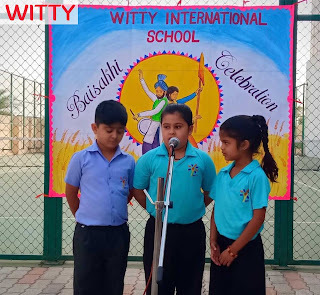 A poem ‘Aaya Baisakhi ka tyohar’ was also recited by the students paying gratitude to the farmers. 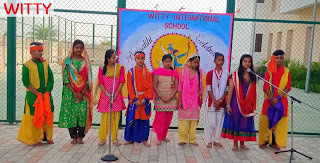 A mellifluous group song by the school choir and a dance performance by the students was a highlight of the celebration. Speaking on the occasion, Principal Ma'am congratulated and appreciated all the students for giving such scintillating and vivacious performances.